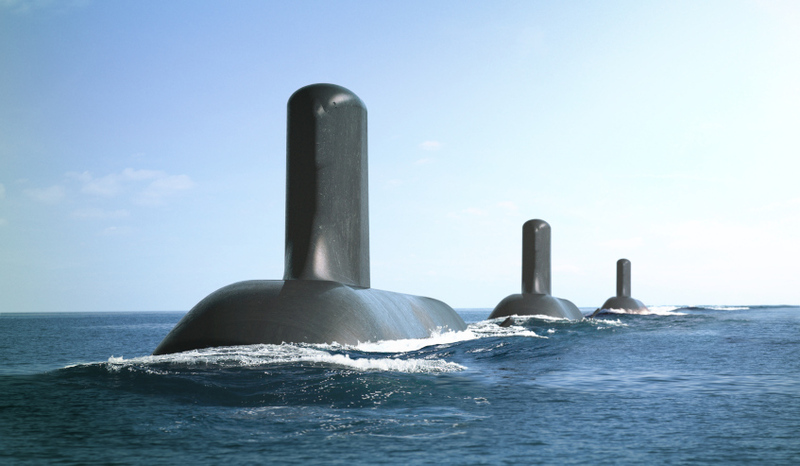 There has been much speculation of the $50 billion Future Submarines, particularly the percentage of Australian industry involvement. Ninety per cent was the figure flaunted by the federal government, a figure that recently came under scrutiny. DCNS Australia's CEO spoke with Defence Connect to set the record straight. CEO Brent Clark, who took over after predecessor Sean Costello's surprise resignation earlier this year, said the highly publicised 90 per cent figure relates specifically to the production aspect of the submarine, rather than the entire acquisition. "I think, not trying to put words into people's mouths, what my predecessor was talking about when he mentioned the 90 per cent figure, he was talking about production, and I think that got lost in translation," Mr Clark said. "He was basically trying to explain that in terms of production of the submarine, the pressure hulls, putting all the steel, and systems and wires and all that stuff into the submarine, that would achieve a very high percentage of Australian industry involvement, that's what he was talking about. "I don't think he was ever saying that there would be 90 per cent total industry involvement." But Mr Clark stressed that this figure in relation to production is still very likely and is something the company is striving to achieve. "I can't envisage that from a production perspective that we would drop below that kind of figure. But again, I think it's also fair to say that ... right now we are going through the submarine item by item to determine that percentage," said Mr Clark. "Every system, hydraulics systems, electronic systems, cooling systems, air-conditioning system, all that kind of stuff, now the vast majority of that, there's no logical reason why that won't be done by Australian companies." As the shipbuilding firm prepares for its fourth industry day next week, this time in Perth, the former submarine officer said the efforts to optimise Australian industry contribution is happening right now. "From a submarine platform perspective, basically as I said, it's system by system we sit down, you know the old jackets off, ties off, sleeves rolled up and look at the totality of the submarine." Although South Australian government representatives have raised the alarm for concern and have said anything less than a 90 per cent level of local industry content is a 'broken promise' of the federal government, Mr Clark said he is anticipating a positive response to DCNS final product plan. "I think most commentators will be reasonably comfortable with the answer we produce once we've done that work."